Alchemy of Art: It's Perfect! then, the next thing you knew, an inordinate number of clowns piled out of it? 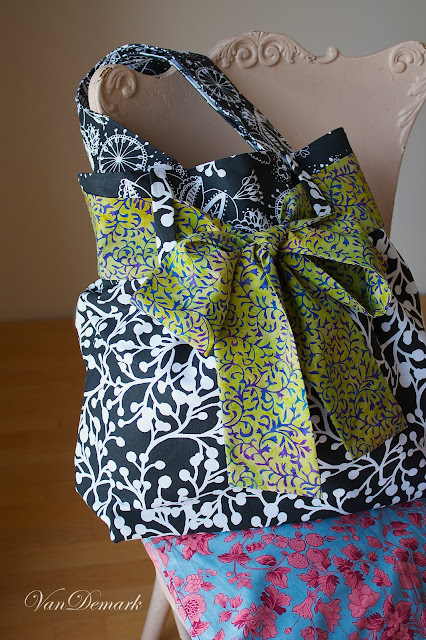 Well, The Abby Tote by V & Co is kind of like that. It's very cute and can hold an inordinate amount of stuff. 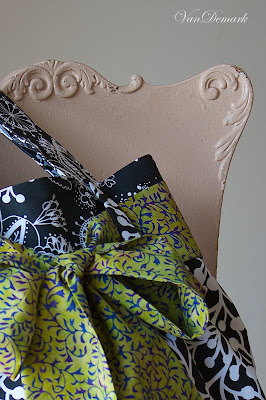 Besides that it's a super easy pattern to sew - all around goodness! I'm off to Rhode Island to teach at the Machine Quilters Exposition for a week. I have a photo or two that are scheduled to magically post while I'm away. P.S. Yesterday, I contributed an essay to The Inspiration Studio titled, Gift Without a Bow. It's about the power of the gift of Art. I love love this bag and the fabric your chose! What a gorgeous bag!! Wishing you a good trip! That bag is so cute! I can just see it in some bright colors, too. :) Have fun! a beauty of a bag that holds alot ..a win win for sure! !